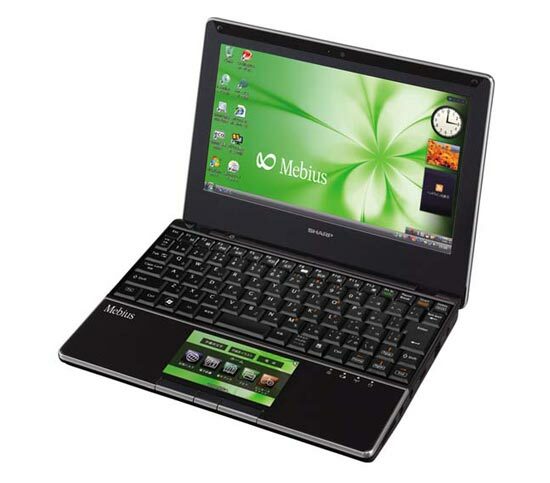 Sharp has revealed a new netbook, the Sharp Mebius PC-NJ70A. 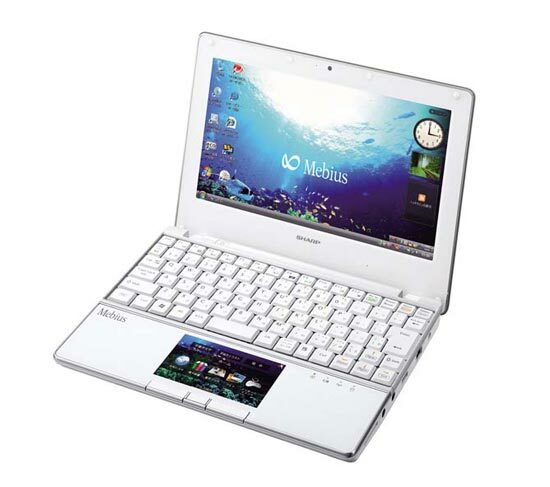 The specifications are pretty much the same as the majority of netbooks available today, it comes with a 10.1 inch LCD screen, with a resolution of 1024 x 600, a 1,6GHz Intel Atom processor, 1GB of RAM and a 160GB hard drive. The only major difference than current models available is that it features a second LCD display in the form of a trackpad. The trackpad acts as a dual display, and is touch sensitive so you can navigate through menus, and peform functions on it. There is no word o pricing or availability as yet.